Places to see in Shankarpur: There are not many places to see in Shankarpur, hence, the sea is the prime attraction of the tourists visiting the place. 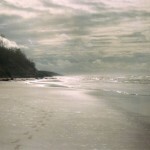 The endless stretch of the sea beach with some muddy patches here and there offers a visual splendor. If you want to explore further, walk for around 45 minutes along the left side of the beach to reach another serene sea beach, popularly known as Mandarmuni. 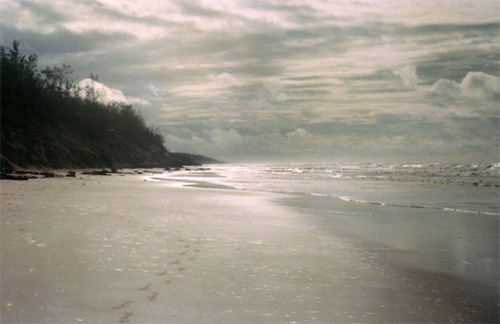 This beach is also quite deserted and is great for the honeymooners. There is also a fish breeding ground in Shankarpur managed by West Bengal Fisheries. Nearby attractions around Shankarpur: If you have some excess time, you can make a trip to Digha, located at a distance of only 14 km. from Shankarpur. Though, Digha has now become crowded, but the beach life is still exciting. You can also visit beach destinations like Mandarmuni, Tajpur, Udaipur and Talsharee within half an hour. Things to do in Shankarpur: You can enjoy a stroll along the sea beach of Shankarpur. If you are enough adventurous, take a dip in the sea, enjoying the rolling waves. You will also find some shops at the sea beach selling ornaments made from conch shells. Walk around the casuarinas groves admiring the sea beach. Enjoy drinking plenty of green coconut water sold in the small shacks near the seaside. How to reach Shankarpur: Shankarpur is located at a distance of around 185 km from Kolkata. There are plenty of options to reach the destination from Kolkata. You can avail buses to Digha from Esplanade bus stop of Kolkata. After reaching Choddomile by bus, you need to take a car or van rickshaw to reach Shankarpur. You can also get down at Rampur from where you will get local shared trekkers to Shankarpur. You can also ask your hotel to provide a pick up. However, instead of dropping anywhere in the niddle, you can travel straight to Digha Bus Stop, where cabs are available to Shankarpur. You can also board trains to Digha from Howrah station. There are a number of trains, including Kandari express, Tamralipta Express and Pahria express. From Digha bus stop you can hire a car to Shankarpur. Best time to visit Sankarpur: You can travel to Sankarpur any time of the year. Lodging and dining facilities in Shankarpur: You will find a number of tourist lodges, budget hotels and standard hotels at Shankarpur. There are also plans of developing resorts at the site. Shankarpur is a great place for having Bengali cuisines and seafood. Fresh catches like pomfret and prawns are found in plenty.